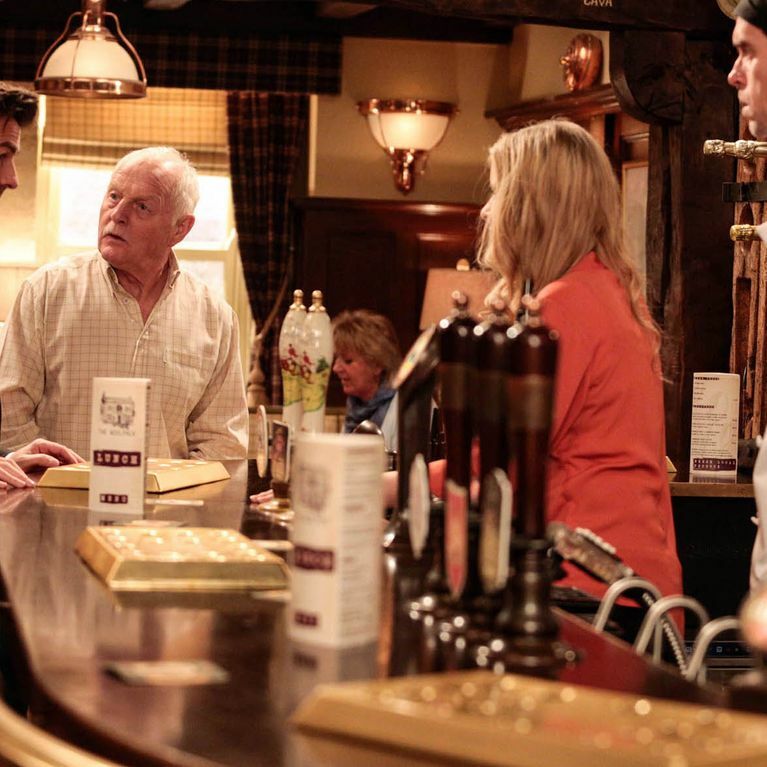 Emmerdale Episode Guide - Monday 20th June. Belle is sure Bailey will save her from the court case but wonders why he hasn’t called yet. Lachlan goes to Bailey’s house and tells him Belle is depending on him. Suspicious Angie witnesses the conversation and goes to the Dingle’s determined to hear Belle’s side. But will she get the truth? Later, Cain Dingle Cain returns to the Dingle’s with bloody bruised knuckles and Belle realises exactly what he’s done.. She rushes to Bailey’s side in hospital. 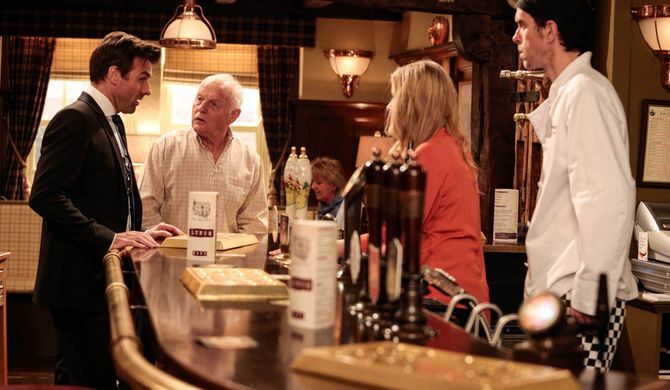 A threatening Pollard comes into the pub to warn Marlon there’ll be consequences if he discovers the pub gave him food poisoning and Rhona spots Marlon looks guilty. Pierce confronts Marlon in the kitchen and is shocked to realise Marlon meant to spike his food but Pollard was accidentally served it. Things get worse when Landlady Charity starts looking for answers. Will Pierce tell Pollard the truth about Marlon or will he manage to dissuade the pub being sued? Laurel is reluctantly forced to remind Ashley about the social worker visit and him losing the right to have Arthur unsupervised. Ashley feels betrayed as he had thought he had friends but realises he was just a project. Will Ashley forgive Laurel and his friends for their secrecy?